Federal University, Gashua, FUGASHUA UTME Preparatory Programme (UPP) academic calendar for the 2016/2017 academic session. 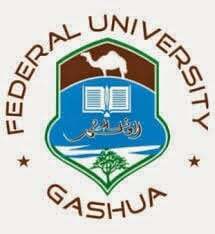 The management of the Federal University, Gashua (FUGASHUA) has released the UTME Preparatory Programme (UPP) academic calendar for the 2016/2017 academic session. See also: FUGASHUA UTME Preparatory Admission Form. FUGASHUA UTME Preparatory Academic Calendar. * Subject to JAMB 2017 UTME Schedule. You Can also Check FUGASHUA UTME Preparatory School Fees schedule.